Angela Merkel is traveling to the Black Sea coast to talk with Vladimir Putin about Ukraine, Syria and other issues putting a strain on Berlin-Moscow relations. Is the Russian president interested in honest dialogue?At the end of April 2015, several members of the German parliament received an email that had apparently been sent by the United Nations. The unsuspecting recipients opened the attachment, unleashing malware that inhabited Bundestag computers for weeks, tapping into confidential information. It took some time to repair the damage and even longer before it was publicly discussed. The incident was quite embarrassing: According to the available evidence, the Bundestag was the target of a Russian cyberattack. The sender of the malicious software was a group known to German authorities as "Advanced Persistent Threat 28," or "Fancy Bear." In this case, it was a matter of gaining information from and about Germany, while in January 2016, the opposite happened when false information about Germany was published. Russian media reported that Lisa, a 13-year-old Russian-German girl from Berlin, was abducted and raped by Arab refugees. Germany´s Russian community took the streets in Berlin to demonstrate against the apparent shortcomings of the country´s security authorities. Even though the girl later admitted that the story was not true, Russian Foreign Minister Sergey Lavrov accused German authorities of "glossing over reality with political correctness for internal political reasons." Germany targeted by Russia Both incidents are examples of what a critical role Germany plays in Russia. In an interview with the German daily "Frankfurter Allgemeine Zeitung," Janis Sarts, director of the NATO Strategic Communications Centre of Excellence, said the reason for this is obvious: Germany is Europe´s leading power. "In this role, Germany ensures that Europe, as such, continues to exist. Moscow equates a strong Europe with a weakening of Russia´s position and that is the reason for the attacks," he said. Germany´s refusal to allow Russia to annex more Ukrainian territory was also a factor, he added. When German Chancellor Angela Merkel travels to Sochi, on the Black Sea coast, on Tuesday it will be her first meeting with President Vladimir Putin on Russian soil in two years. They plan to discuss the Syrian War, the Ukraine conflict and the G20 summit slated for July in Hamburg. 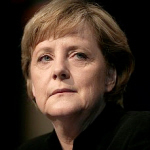 The agenda will likely include Russia´s attempts to influence public opinion in Germany. The chancellor´s message should be clear, said Gernot Erler, a Social Democratic parliamentarian and the German government´s representative in charge of relations with Russia. "It is not acceptable to interfere in another country´s affairs this way - using illegal methods such as wiretapping or hacking," he told DW. "I think Russian leaders are aware of what this means for German-Russian relations, in the case that they really have made such attempts or support them.
" German request for dialogue Germany attaches great importance to good relations with Russia. Before the chancellor´s trip, German government spokesman Steffen Seibert said Berlin is pursuing the goal of involving Russia in "constructive solutions." In an interview with DW, Russia expert Stefan Meister from the German Council on Foreign Relations (DGAP), stressed that "Angela Merkel is not the only one traveling to Russia. The foreign minister has talks there and the president is planning talks. It seems to me that there is now an initiative to start a conversation with the Russian side." The Russian agenda, however, prioritizes the growth of the country´s diplomatic strength. Russia has moved from being a "weak crisis navigator" to an "active architect" of international conflicts, according to Eastern Europe expert Sabine Fischer from the Berlin-based German Institute for International and Security Affairs (SWP). She said that this is manifested in Ukraine and Syria. In fact, the German government views the annexation of Crimea and the destabilization of eastern Ukraine as the "two topics that put a strain on the relationship," said Seibert. In order to increase its power in Europe and display international strength, Moscow has intentionally exploited or even created conflicts, added Fischer. This poses considerable challenges for the European Union. "The EU cannot get involved in Russia´s desired re-division of Europe into areas of influence without undermining its own standards and values and risking further instability in its own neighborhood," she said. It will probably be difficult for Germany and the EU to enter into a constructive dialogue with Russia again, said Fischer. "That is why Germany and the EU should focus on conflict management on a local level and alleviating human suffering."